﻿If you want to implement Best Practice in your business, Creating Culture Change will equip you with the passion, strategy and skills to bring about change quickly and successfully. Philip Atkinson, a leading management consultant, has distilled the secrets of culture change in this new and revised classic text. A specialist in driving behavioural change with all levels of management in many sectors, he outlines clearly, in a no-nonsense style, the essentials for success. His vibrant approach to the subject leaves the traditional far behind. 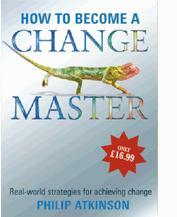 In fifteen chapters, he details clear and simple steps that can be taken to achieve significant improvement. The author projects a strong belief that those who steer organisations learn very quickly if they can escape from their own self-limiting beliefs. He holds the view that anyone can change any company, however archaic, when equipped with the skills and the vision. Creating Culture Change is not a panacea for all corporate problems, but shows how implementing strategies to change, to train staff, to communicate effectively, will lead to improvement in results. The book is revolutionary in its content, rejecting many so-called established approaches to Total Quality and replacing them with strategies which strike at revitalising the fabric of the organisation. Stop now and think 'if you couldn't fail, what would you change?'. Now read the book and apply the ideas. Creating Culture Change creates a landmark in allowing management to face up to its responsibility for mastering the process of change - which is critical to functioning successfully in the next century. The author believes that results are a reflection of how well people are managed and he further expresses the view that most managers learn to manage by accident rather than by design. Philip Atkinson is based in Edinburgh. Prior to consultancy, Philip was a senior lecturer in Organisational Psychology. His clients include many blue chip companies as well as organisations in the public sector.